Nyako: Adamawa saves N800m from 3 road contracts – Royal Times of Nigeria. 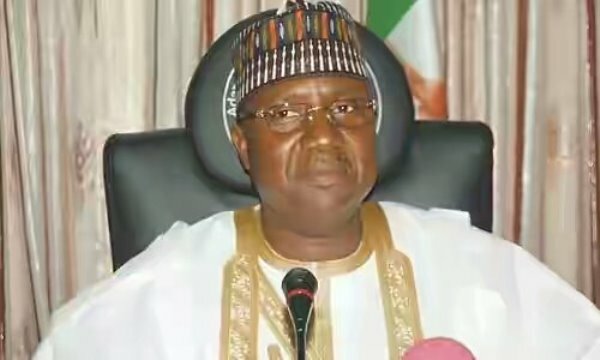 The Adamawa State Government says it has saved more than N800 million from three road contracts awarded by the Murtala Nyako administration between 2013 and 2014. The state Commissioner for Works, Mrs Lilian Stephen, made this known on Wednesday while briefing newsmen after the State Executive Council meeting at Government House, Yola. The News Agency of Nigeria (NAN) recalls that Nyako governed the state from 2007 to 2014. Stephen said that the funds were saved following the re-variation of the contract by the state government. According to her, the Aliyu Mustapha Way, which was earlier awarded at the cost of N2.6 billion, was reviewed downward to N2.2 billion, saving N444 million. She added that the Malamre road contract, awarded at the cost of N1 billion was reviewed to N960 million, saving the sum of N40 million. The commissioner further said that government saved N345 million on Army barracks/Mayo Inne to Mayo Belwa road project, bringing the total recovered funds to N829 million. Stephen said that the savings were achieved due to the prudent and transparent nature of the present administration, adding that all the contracts had reached their completion stages. “It is very uncommon that contracts are reviewed downward, especially in the present economic situation where dollar exchange rate has gone higher. “Gov. Mohammed Bindow’s administration is practical and this is just on three contracts. “I want to assure you that the administration will continue to comply with due process on the award of contracts as prudence is the watchword of Gov. Mohammed Bindow’s administration,’’ Stephen said. Also speaking, Alhaji Umar Daware, the Commissioner for Commerce, said that the council had proposed the establishment of Adamawa Investment and Promotion Agency (AIPA). Daware said that the proposal was to stimulate investment as well as create employment opportunities in the state. He added that the council had nominated the Ministries of Commerce, Justice and Finance to develop the blueprint for the take-off of the agency. Meanwhile, Dr Loius Hamanda, the newly sworn in Head of Service, said that he would engender a result-based state civil service. Hamanda said that the civil service must be given a new orientation which is in line with the `change mantra’ of Bindow’s administration. He assured the governor of loyalty and fairness in carrying out his duties.